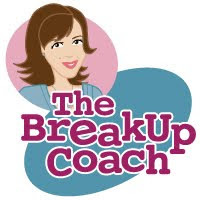 My site at breakup-coach.com is now the main location for all content and features I offer as The BreakUp Coach. 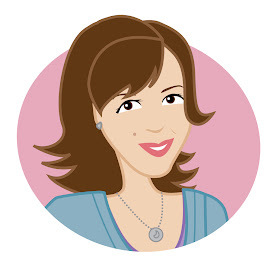 It's got some pretty cool features, like free sendable breakup-themed eCards, individualized e-coaching programs sent directly from me to you, and an "Ask the BreakUp Coach" column where you can send me your questions. I wanted to create a place where you would be able to really use the features to connect with me and with others to get even more support--and I'm excited to share it. The new site also has lots of articles with advice and info on breakups, including both new articles those that are posted here on the original site, as well as a new blog. I hope you enjoy it, and thanks for your support and interest. In the spirit of my advice article on Dealing With Your Life Online during a breakup, there's a new application you can use to virtually erase any presence or reminders of your ex as you interact in the online world via Facebooking, Tweeting, internet seatches, etc. Ex-Blocker will help you forget what's-his-name a little sooner by erasing the evidence of his existence all in one easy step. But if you happen to go to work or school with your ex, you'll have to keep practicing ignoring him on your own, at least until they invent make-your-ex-invisible glasses. Back in the early days, when The BreakUp Coach was just a twinkle in a brokenhearted girl's eye, and my awesome friend Ask Angie and I were coming up with cool things that the BUC could offer in the future, ringtones were definitely on the list. It's still on the list, but behind e-cards and e-coaching programs and a few other nifty features that are currently in production for the new site. How cool is that? I especially love the lame chatter from the ex and the sound of the phone exploding at the end -- kinda like something out of The BreakUp Hotline. Here's a card I created for the occasion. Our own cards will be launched along with the rest of the site sometime next month. We’ve all been there. Your friend is heartbroken. You care about her. You want to be there for her. You also might, just possibly, be feeling a teensy little bit frustrated with her. Here are some tips to help you navigate your friend’s breakup and hopefully emerge with the friendship (and your sanity) intact. DO listen. It’s one of the most helpful and important things you can do for your friend. Just listen, nod, and let her know that you hear what she’s saying and that you understand. It’s so simple and yet so often we don’t do it. DON’T lecture, preach or give advice unless she asks for it. This is a trap for both of you and tends to lead to you having the same conversation over and over again, which is an energy drain for both of you. Letting her go over the same thing more or less on her own 2 or 3 times without a lot of input from you is actually more healing for her. And although it may seem challenging at first to just sit and listen, eventually it ends up being less draining for you, too. DO reach out just to say hi and that you’re thinking of her with calls, texts, emails, etc. The feeling that there’s a void in contact and communication can be one of the hardest parts of a rough breakup -- remind her that someone really cares. DON’T compare her current situation with yours from the past. When our own pain is acute, it seems totally special and unique to us. Let her have her moment. After some time has gone by and her wounds are less fresh, you can swap war stories. DO set boundaries and take care of yourself. Yes, it’s helpful to listen, but it’s also okay to take breaks and set limits. Ask if you can call her back later if you need some time off. If it’s feeling like all you do is talk about the breakup for hours on end, suggest that you dedicate a certain amount of time that you spend together to talking about it (30 minutes, 15, or whatever seems right, in which time she’ll have your full attention). After that you both agree to change the subject. Tell her that a psychologist (me) recommends this for her as a way of honoring her feelings while not letting the breakup take over her life by giving it it’s due time in her day, and then moving to something else. DON’T forget to have fun together. Just like the breakup shouldn’t take over her own life, it shouldn’t totally highjack your friendship. Make sure you spend some time doing things you both enjoy, while letting her know that you’ll still be there when she’s feeling sad. The thing is, often when someone’s going through something difficult, the people around them start to expect them to be “over it” after a certain amount of time, or once they start laughing or having good times again. Sometimes this keeps them stuck in “woe is me” mode because they’re afraid that if they come out of it for a while, you won’t let them be sad again. Let her know that you understand that she’s having good AND bad days, and that you’re there to share both of them with her. DO feel free to criticize her ex in vague, general terms in her favor when she is angry and venting. Saying things like, “What a loser!”, “I can’t believe he said that to you, that jerk!” and “He really blew it, big time!” are usually good bets. DON’T go overboard with trashing the ex. Don’t get angrier about him than your friend does, don’t bring up any personal complains you’ve been holding against him, and avoid specific insults or criticisms about his appearance, personality, etc. These are the ones that tend to come back to haunt you. On the off chance that your friend ends up getting back together with the guy, you don’t want your comment about his freakishly small, pointy head floating out there, especially if he ends up being the father of her kids! DO act as a force for sanity and save her from herself when she's about to do something kooky. See if you can confiscate her phone if you're headed out for "forget him!" cocktails, and hide her keys if she's talking about driving over to confront him at his new girlfriend's house (yikes!). Tell her that you would definitely want her to do the same for you. If she's really set on doing something you think is a bad idea, instead of continuing to argue about it just ask her to give it a 24 hour waiting period (it's kind of like buying a gun--but keep that analogy to yourself, since it's probably not a good idea to bring up guns at that point). DO send her a Breakup Coach E-card to help cheer her up. And if you’ve followed all of this advice and she’s still driving you a little crazy, try sending her a link to my article about being a good friend while you're going through a breakup. It can’t hurt. I'm not just a cartoon! What's the BreakUp Coach up to now? 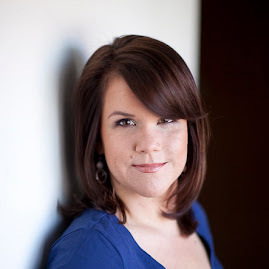 I'm a licensed psychologist specializing in helping adults, children and families have the healthy sleep foundation we all need. "One breakover coming right up"
"Just let it go to voicemail"
"Who's gonna be OK? You are"